I love all the fuzz on these spiders! I think I’d have preferred less words. I’d have preferred not knowing that it jumped as well. Great photo. But… But… How can you resist that face? Even if they do jump? No, it’s totally okay if that creeps you out. 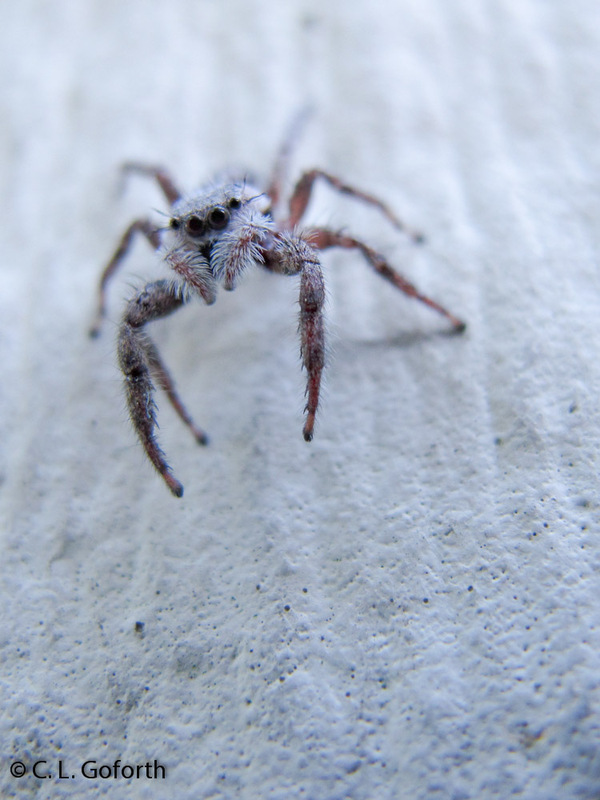 Not everyone has to agree with me that jumping spiders are adorable. I just love all that fuzz!